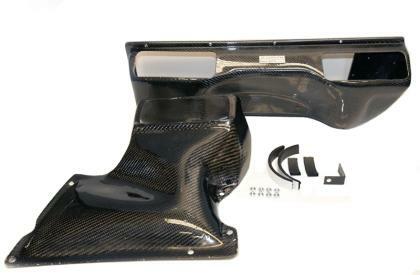 Agency Power has just released their all new intake kit for the 2001-2005 Porsche 996 Turbo. 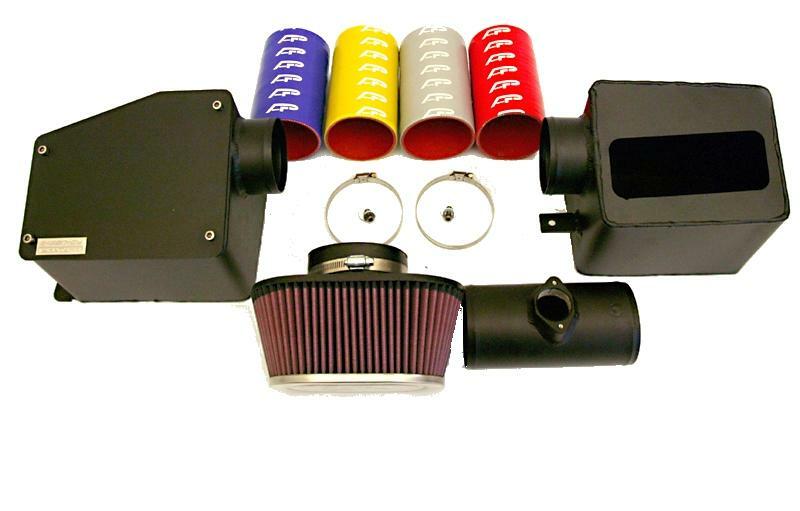 The intake kit is high quality molded aluminum boxes powdercoated in high temperature black texture. Using a CNC machined 6061 aluminum MAF housing, the air flow stays consistent and without any check engine lights using our air flattener mesh before the sensor. Connecting the two boxes together is a 3.5 inch diameter silicone tube. Colors are available in blue, silver, red, or yellow. The air flows well with a K&N cone filter that comes preoiled and will last you almost 10,000 miles before you have to clean it. 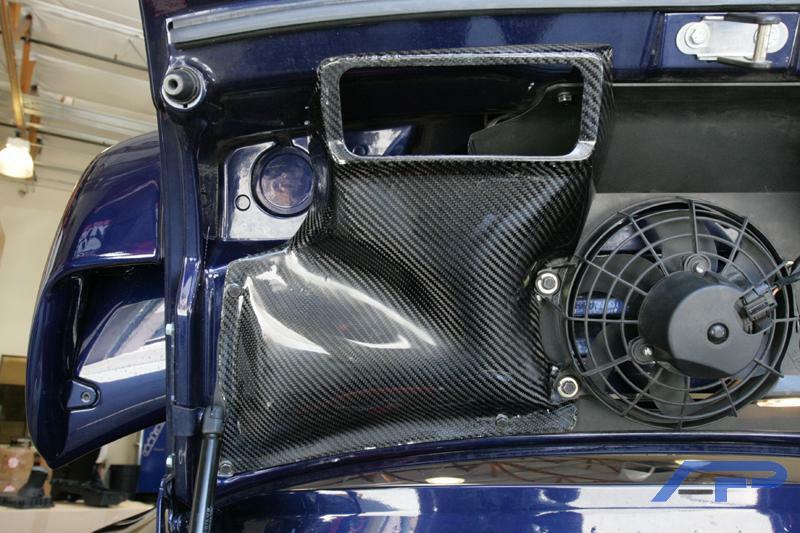 The filter is sealed in the left box to keep it cool from engine heat. As tested under street and highway conditions, the air inside the box stays approximately 5-10F degrees cooler then the engine compartment air. The Agency Power intake achieves an impressive 32 wheel horsepower and 22 ft/lbs of torque in strong points of the RPM range. Peak numbers are 21 ft/lbs of torque and 7 wheel horsepower. 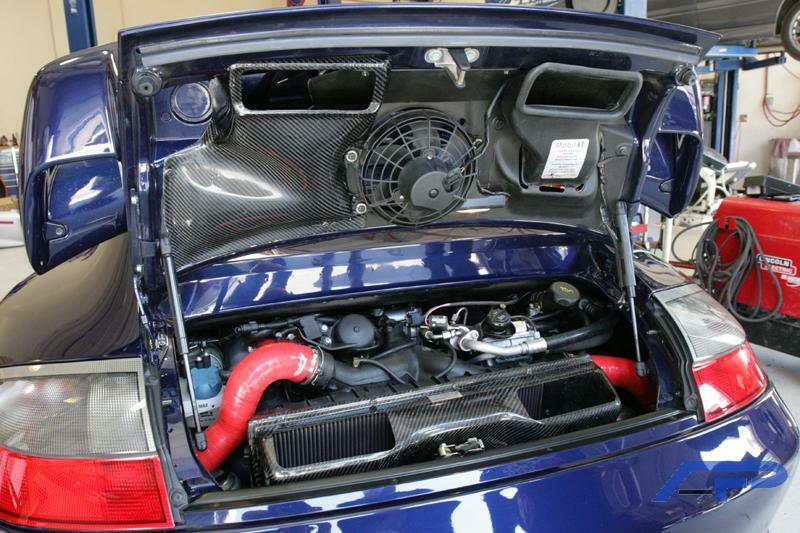 This intake kit fits both the standard 996TT and the X50 package. It can be used with the factory decklid or the GT2 rear decklid.